Last week my boyfriend and I went to see Ben Howard in the 3Arena in Dublin. I've talked about my love for Ben Howard a few times on Penneys To Prada and this was my second time seeing him live. Usually for gigs I'd go for a more casual outfit but as our hotel was directly across from the 3Arena and I didn't have far to travel I decided to go for a more 'smart casual' look. We stayed in The Gibson hotel and a full review will be up soon so keep an eye out for that, it was absolutely amazing! These pictures were taken on our shared balcony that overlooked the 3Arena and Dublin city and it was such a nice area to sit out and enjoy the sunshine before the gig. I picked up this top earlier in the day from Penneys and it was perfect for the gig as it was light and airy. I bought this blazer a few weeks ago in Dundrum and I think it's the perfect piece to smarten up an outfit but at the same time keep everything rather girly. 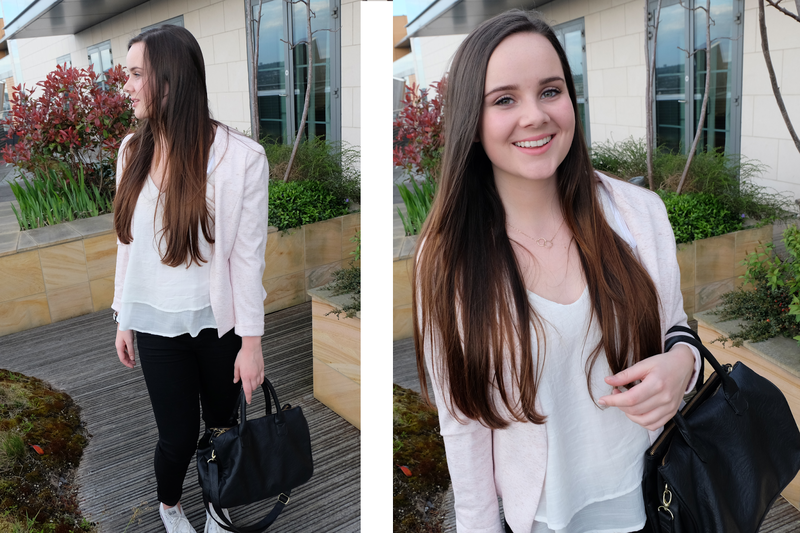 Lately I've been really into pastel colours, especially pastel pinks and this blazer is certainly no exception! 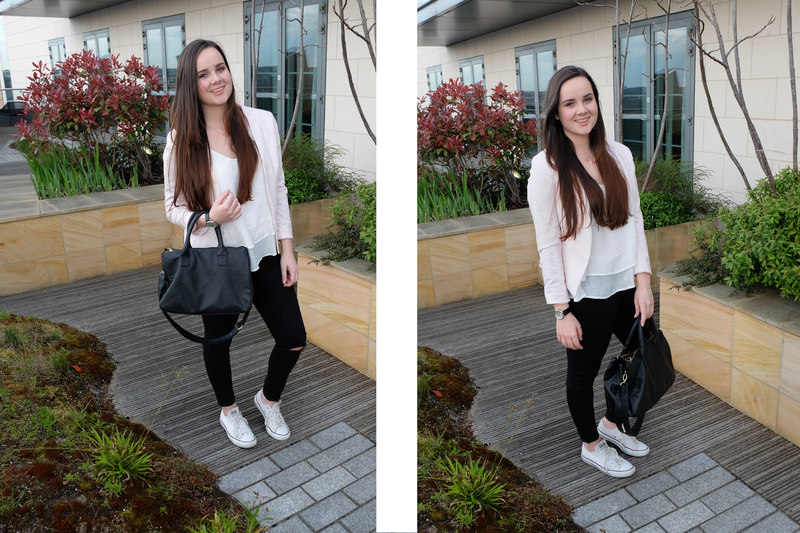 As the top half of my outfit was very light and summery I decided to wear a pair of black jeans for a bit of balance. These are the Leigh jeans from Topshop with ripped knees. It was my first time wearing the ripped knee jeans trend and I'm still undecided as to whether I'm a fan or not. I wore my oldest and comfiest pair of Converse, I've never understood the platform heels at a gig thing so I stuck with my old reliables. As always I wore my Marc Jacobs watch, Pandora ring and my trusty black bag from Penneys. What is your go to outfit for a gig?